Remember this very cool giveaway for all these goodies HERE from Another Lunch? Well guess who won! Yep! We did! And I must say bento lunches are pretty cool! My boy loves them! All of the goodies we won are very fun to use! She even threw in an extra bento box and these! Keep in mind I'm just a bento beginner, but here are a few of our lunches! You can't really tell in the photo but that sandwich is a doghouse with a puppy punched out, in the center. He loves these little rolls. 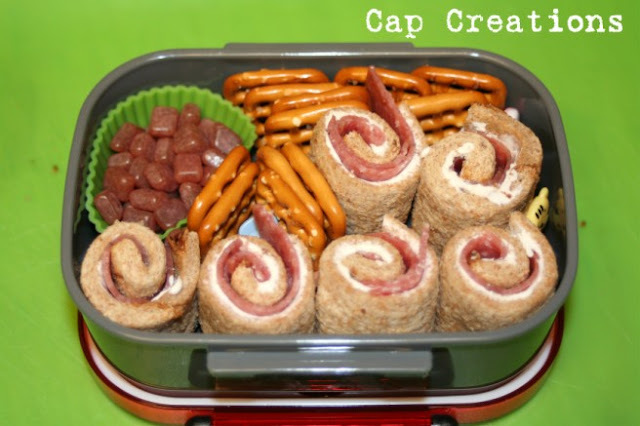 Flattened wheat bread, cream cheese, salami and roll em up! Sick a pick in it! Are those little sauce bottles cute or what? Bento lunches sure are fun but what is even better is the fact that they are waste free. Well except that Capri Sun. 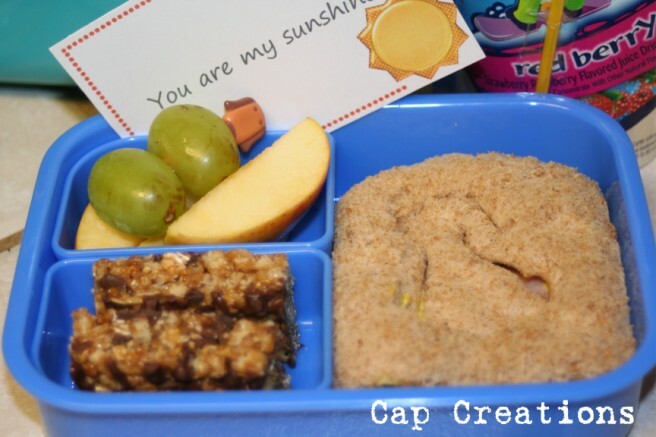 I also always try to throw in one of these printable lunchbox cards! My kid likes the cards as much as the lunch! He even asks, "is there gonna be a note in my lunch?" 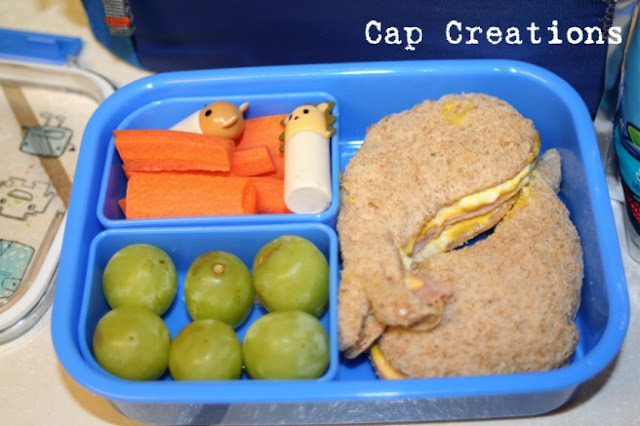 If you need inspiration for bento lunches I suggest you check out Another Lunch. She has some really fun ideas over there! I'd really like to try the egg shapers! One of the things in our prize package was this book by Susan Yuen. Want it??? We'd like to pass it on to one lucky winner! 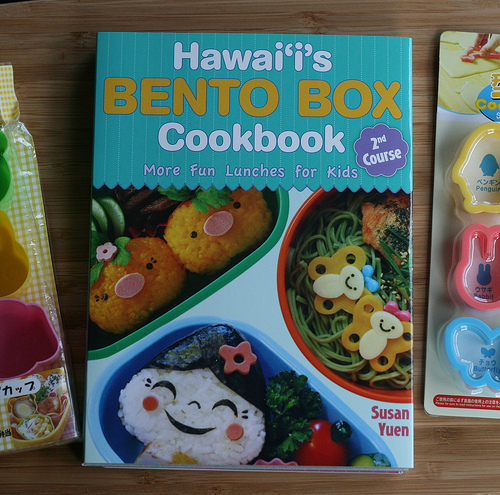 Just leave a comment, or tell us which product we should try next for our bento lunches! Blog, tweet or facebook this giveaway or follow this blog for extra entries! Laptop Lunches has great ideas, too! The next thing you should try is a boiled egg shaper. You peel the hard boiled egg while it's still warm, then put it in the mold and you end up with a car or bunny or whatever. Sooo cute! I have been really wanting bad to learn how to make some bento meals, I've made some rice balls before, but I want to learn more meals! I really love to make food for people I love so I'd probably be making bento lunches for my boyfriend. Thanks for this awesome giveaway! Since bento is originated from Japan..try filling up ur bentobox with lovely varieties of sushi..am sure it's beautiful! thanks for the giveaway!